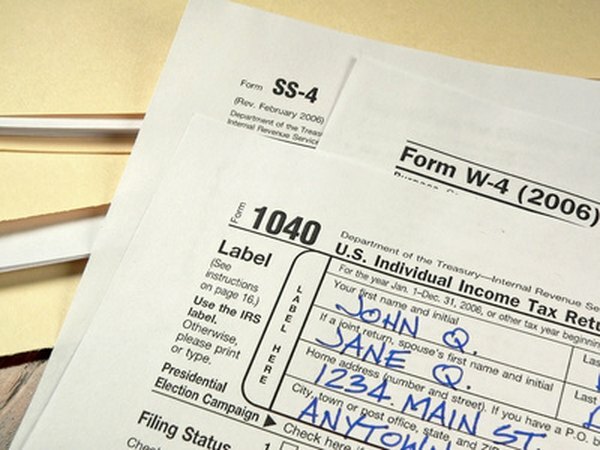 You have to use Form 1040 and Schedule A if you want to deduct your United Way donations. Not only can giving to the United Way help improve your community, it can also qualify as a tax deduction. However, you can only deduct contributions of money and property. Donations of your time, no matter how valuable, can't be used to claim a tax write-off when you file your return. If you donate cash, it's easy to value your donation. If you're donating property, it can be a bit trickier. Usually, you can deduct the fair market value of the property. For example, if you donate a used bicycle, you can deduct the fair market value. Iif you've had the property for less than one year, there are special rules: you can only deduct the smaller of what you paid for it or the fair market value. For example, if you find a great sale on peanut butter so you stock up to donate it, you can only deduct what you paid for it, not what it usually costs. As a community foundation operated for charitable purposes, the United Way qualifies as a 50 percent limit organization. This means that your deduction cannot exceed 50 percent of your adjusted gross income for the year. In addition, if you donate capital gain property, the limit falls to 30 percent. For example, if you donate stock that's grown in value, your deduction cannot exceed 30 percent of your adjusted gross income. If your donation exceeds these limits, you can carry over the excess for up to five tax years. You almost always need to get a receipt that documents your donation to the United Way to claim your deduction. If you donate cash, you can use a canceled check or credit card statement for donations under $250. Larger donations require a receipt showing the amount you donated, the date, the receiving organization and whether you received anything in return. For property, you need a receipt that shows the same information plus a description of what you donated. If you make a donation of property worth more than $5,000, you must have it appraised. You don't need a receipt if you donate property less than $250 at a site that makes it impractical to get one. For example, if you donate food at an unattended drop site, you don't need a receipt. When you file your taxes, report the amount of your donation in Schedule A. Monetary donations go on line 16 while property donations go on line 17. If you donated property worth over $500, you must also complete Form 8283. For donations between $500 and $5,000, complete Section A. For donations of $5,000 or more, complete Section B. On your Form 1040, report the total of your itemized deductions, including your United Way donation, on line 40 instead of using the standard deduction.